Open Mother’s Day Sunday Noon-4pm! For every newborn child, the first sight, the first touch, the first recollected sound is that of their mother. The nurture and love expressed by the being in our life that gave us the gift of life is often known to each of us simply as: Momma. We spend our lives growing up, questioning our mother’s guidance. Whenever we got the bad news on anything, “Wash your hands”, “Time for bed”, or “Eat your vegetables” was usually followed quickly by the short question, “Why Momma?” It seems that early in the day, the likely reply to that question, has an actual explanation for the reasoning in the answer. Late in the day, more often that not, “Because I said so!” is a more predictable reply. Just getting through each day for mothers is a difficult balancing act, but Momma always gets it done. Being a mother is the toughest, most rewarding, and most important job on the planet. Interestingly, Momma is a nearly universal word. With few exceptions, in nearly every language, the word we all associate with our giver of life is either Momma or a similar variant thereof. Why Momma? As it turns out the letter ‘m’, along with the vowel sound ‘a’ are nearly instinctive first uttering from babies. A baby says “mama” and it sounds as if he/she’s addressing someone; the person most likely being addressed early on is his/her mother. Mothers take “mama” as meaning them, and in speaking to her child refers to herself as “mama”. The word momma, that means 'mother', is born; just the way it should be! Clearly, a single day is woefully insufficient for letting momma know what she means to you. If you’re fortunate enough to still have your mom, we are here to make that process a bit easier! 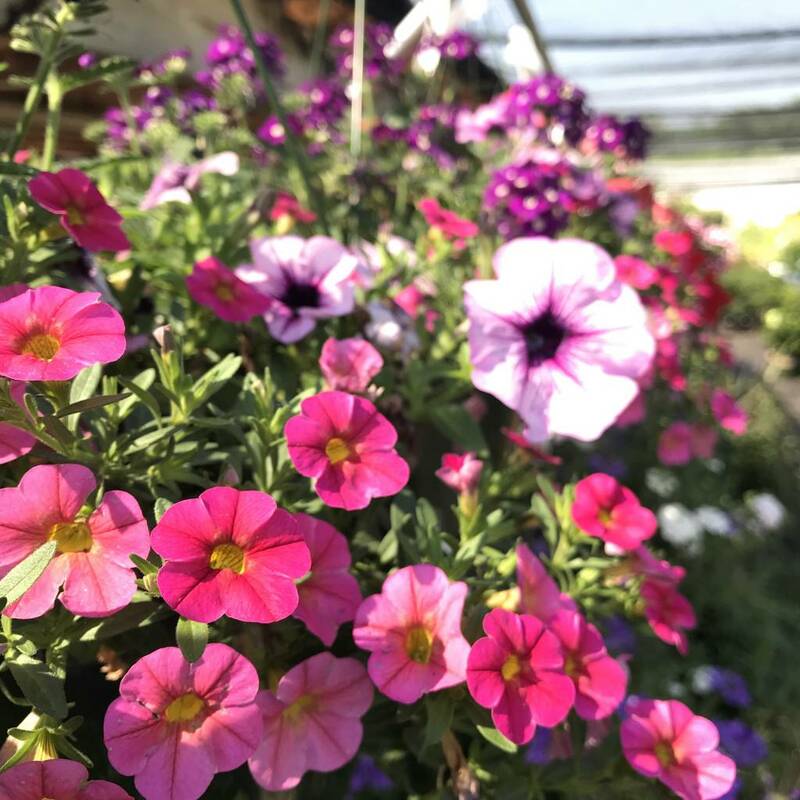 We have brought in a vast array of hanging baskets and other special flowering container planters so you can brighten her day! If you’re unsure exactly what to get mom, get a Bates Nursery Gift Card by simply clicking here!